Başakşehir Living Lab is an environment in which products and services that are related to information technologies and design could be tested by real users in a real life environment. 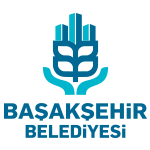 Başakşehir Living Lab is an experiment, research and innovation environment that helps society see the real accretion value of new products and services. Başakşehir Innovation and Technology Center building which belongs to Başakşehir Municipality has a fiber-optic internet infrastructure that supports speeds up to 1 Gbps, as well as a Gold level of LEED green building certificate. Entrepreneurs with projects related to information technologies and design can work in the incubation area provided in Başakşehir Innovation and Technology Center and can benefit from all the facilities of Başakşehir Living Lab throughout the project period. All our partner institutions and organizations can also have their place in Başakşehir Living Lab ecosystem with the same benefits and privileges.